Pragmatic Cycling Supplies | A Continuous Lean. I am a strong proponent of domestically manufacturing, but the fact that these bags are made offshore doesn’t discourage me from appreciating the look and feel of the product. I drawn to the simplicity and affordability (leaves more money for that Brooks saddle) of the Minnehaha bags. Classic, unbranded goods that are made from natural materials are a market niche that should be exploited by more companies. Freakin’ Duluth! It’s takin’ over the world! love this. want this. desperately. I hunted down a Klein tool bag and was amazed by the selection of amazing bags you can find in a hardware store. And if you did turn into a canvas and leather bag/jacket site I don’t think anyone would complain. I ride with Carradice, the original. http://carradice.co.uk/. A bit pricey but the Nelson long-flap is incredible. 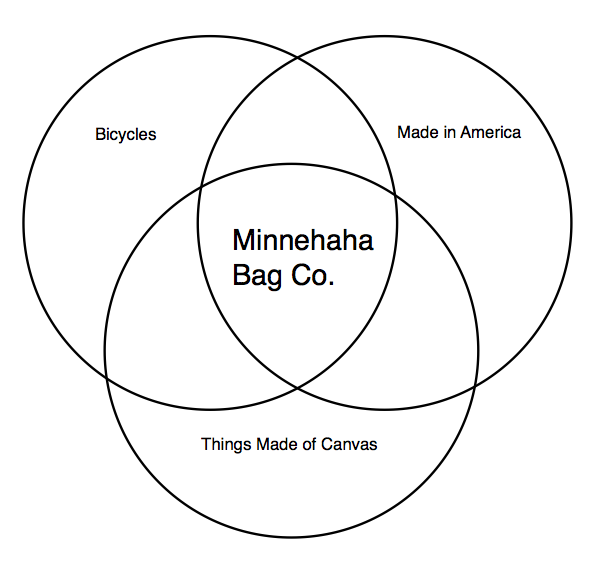 Just found out the Minnehaha bags are made in China (even though they’re being sold out of the cradle of canvas luggage production, Minnesota). So..I’d drop M from my list of recommended cycling luggage vendors. I’ll be sticking to Carradice, Rivendell (Baggins bags) and Acorn. In response to Lesli Larson – aren’t all things made in China! That is why Hong Kong is so polluted…because all the factories pollution ‘travels’ to Hong Kong.